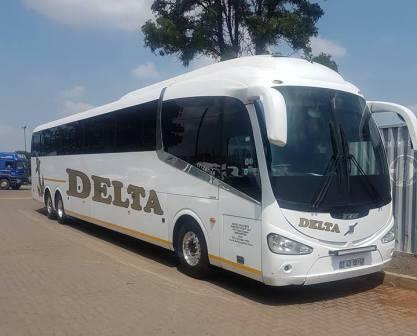 Delta Coaches (Miles Of Smiles) offer intercity, charter and cross border coach services in Zimbabwe and South Africa. They only offer their clients superior travel experience that sets them as a cut above the rest. 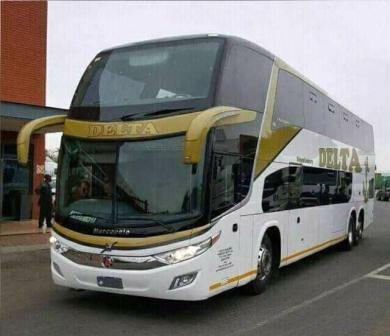 They offer intercity, charter and cross border coach services in Zimbabwe and South Africa and the SADC region. They are always acquiring new buses, upgrading and servicing their current fleet. They are playing Cross Boarder Routes as well as Local South African Route. Some Local Routes will be updated soon. 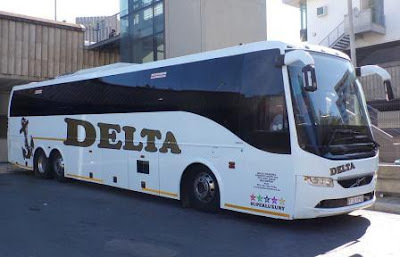 Delta Coaches Tickets are available on their offices and agents, They are now on the process of making their tickets available online, Please be patient. Tickets purchased within 15 minutes of the scheduled departure time may not be cancelled and if unused a 100% cancellation fee will apply. No change shall be effected within 15 minutes of the scheduled departure time, or after departure time, and such tickets, if unused, are subject to cancellation with a 100% cancellation fee. Tickets purchased within 15 minutes of the scheduled departure time may not be changed and if unused a 100% cancellation fee will apply. Children under 12 years will not be allowed to travel alone and must be accompanied by a parent or guardian older than 18 years. Unless Delta Coaches and a passenger agree otherwise, and at the sole discretion of DELTA, each fare-paying passenger is permitted to take, free of charge and AT OWN RISK, two pieces of luggage and goods, each of which does not exceed 80cm x 60cm x 30cm in size, and of a total mass (all luggage and goods combined) not exceeding 20kg for domestic departures, and 30kg for cross-border departures. Delta Coaches reserves the right to charge an additional rate per kilogram for luggage exceeding the abovementioned limits. The kilograms as weighed by Delta Coaches’s scales will be the chargeable kilograms. Delta Coaches reserves the right to refuse the carriage of luggage, goods or any person in its sole discretion. Passengers should obtain a DELTA luggage sticker when boarding. Unaccompanied luggage will not be carried. Delta Coaches broadcasts family friendly video and audio material on all coaches, promoting the Christian faith. Delta Coaches does not guarantee the availability of on-board video and audio material on any coach.